On Saturday afternoon, Duke was revealed as the No. 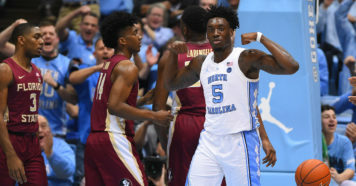 1 team in the country, according to the NCAA Men’s Basketball Committee, which announced the top 16 teams nationally in the third annual Bracket Reveal Show. On Saturday night, No. 2 Duke backed up that sentiment with an 81-71 road win at No. 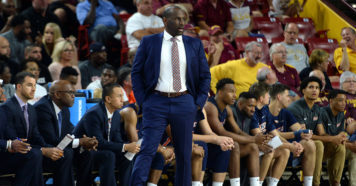 3 Virginia thanks to a historic three-point shooting performance that suggested the Blue Devils are virtually unbeatable if they can consistently hit shots from deep. Duke was 13-of-21 (61.9%) from behind the arc, which is tied for both the most threes made and the highest single-game three-point percentage against Virginia since Washington made 17 threes at a 65 percent clip in November 2010 – the 35th game of the Tony Bennett era at Virginia. Pittsburgh also shot 13-of-21 from three against Virginia in 2017 so Duke completed what essentially amounts to a twice-in-a-decade three-point performance against a program that has a perennial top-five defense. However, for so many reasons, Duke in 2019 couldn’t be further from 2017 Pitt, which went 16-17 overall and 4-14 in ACC play. Ironically, Pitt could actually shoot from behind the arc that season. Duke arrived in Charlottesville shooting 30.8 percent from three, which ranked 308th nationally at tip-off. That was one spot behind Wagner and one spot ahead of Charlotte. It’s a testament to Duke’s elite two-point percentage (59.0%) and offensive rebounding rate (38.2%) that the Blue Devils rank second nationally in adjusted offensive efficiency despite such woeful outside shooting. Duke has willing but consistently inconsistent three-point shooters. 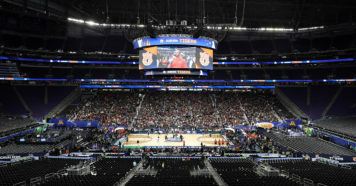 For at least one night, concerning team-wide performances from three like Duke’s 2-of-21 showing against Georgia Tech and 3-of-20 against Texas Tech, and individual performances like Barrett’s 4-of-17 night against Syracuse were put to bed. The Blue Devils started 7-of-7 from deep against Virginia, including five threes from Barrett in the opening 12 minutes, and perhaps none more ridiculous than Cam Reddish’s deep three from the right wing that banked in amidst a 66-second stretch in which Duke made three 3s. Barrett was 6-of-10 for the game and Reddish was 5-of-8, while Williamson and Tre Jones each made a shot from deep. Barrett led all scorers with 26 points, while Williamson (18 points) and Reddish (17) also reached double figures efficiently. In terms of quantity and accuracy, it was unlike any shooting performance by Duke since November, when the Blue Devils made 12-of-26 against Kentucky in their season opener, 15-of-36 against Army the next game and 10-of-25 against San Diego State two games after that. But given the opponent and Duke’s remarkable efficiency, it was even better than those. Duke’s lead grew to 14 points twice in the first half on the road against the nation’s third-most efficient defense, which has held opponents to 26.5 percent from behind the arc this season. Virginia might be fortunate to have only lost by 10 points. A three from De’Andre Hunter cut the deficit to five points, 66-61, with 5:28 to play but the Cavaliers struggled for most of the night to get any closer than seven points. With the win, Duke took over the No. 1 spot on kenpom.com from Virginia, giving the Blue Devils the best resume and adjusted efficiency margin in the country. They could have the No. 1 ranking in the NET on Sunday morning and potentially the No. 1 spot in the next AP Top 25 poll on Monday. Duke is now 21-2 overall and 9-1 in the ACC, tied with North Carolina for first in the conference. The Blue Devils and Tar Heels still have to play each other twice in the regular season. Duke should be favored in Chapel Hill, just like they likely will be at Louisville Tuesday and Syracuse the week after that. Duke is projected to win the rest of its eight remaining regular season games, according to kenpom.com, and if the Blue Devils can make threes with any consistency like they did Saturday, there may not be a team in the country that can beat them.